When the Data Compare window is closed, you will be brought back to the main Auto Provider Reconciliation Record. Here you can view Not Reconciled and Reconciled Activations. Not Reconciled : Click the Not Reconciled TAB. These are Activations that did not receive a Reconciled checkmark. 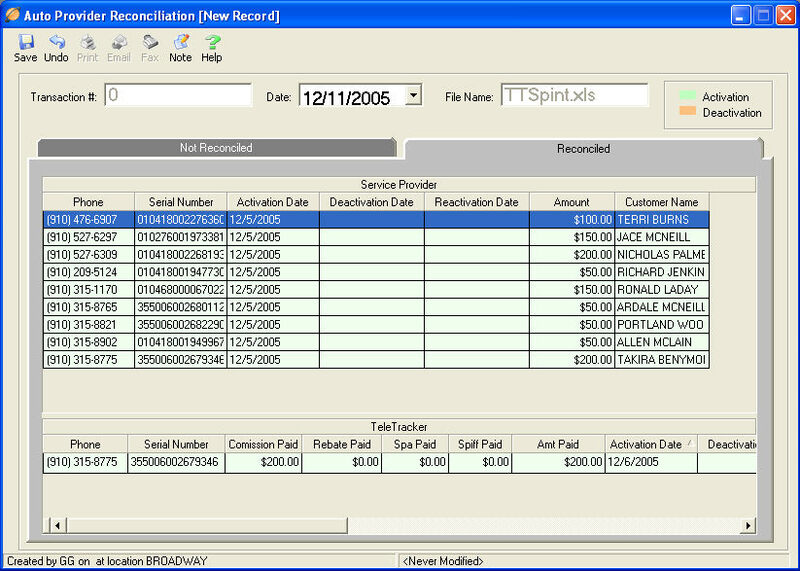 The Not Reconciled Activations may have full or partial payments, however they do not have a Reconciled checkmark. Reconciled : Click the Reconciled TAB. These are Activations that did receive a Reconcile checkmark. The Reconciled Activations may not have full payments, or any payments associated with them. However, they received a Reconciled checkmark and are considered Reconciled. All Activations, Reconciled or not, may be modified within the Manual Reconciliation. button save the Auto Provider Reconciliation Transaction.